Changes to MOT test rules announced earlier this year, introducing new categories of defect and more, will take effect from May 20 across England, Scotland and Wales. The changes – creating three new categories of fault grades, stricter standards for diesel car emissions, and exemptions for vehicles over 40 years old, amongst other things – will affect cars, motorcycles, vans and similar light passenger vehicles. Any defects discovered during MOT will be classified as ‘Minor’, ‘Major’ or ‘Dangerous’. The category given by the MOT tester will be determined by the nature of the defect and its severity. Under the new rules, MOT providers can still advise customers about items in your vehicle which should be monitored, in ‘advisories’. • A ‘Dangerous’ item poses a direct, immediate risk to road safety and the environment and will cause your vehicle to fail the MOT. It must be repaired before the vehicle can be legally driven again. • An item with a ‘Major’ defect may possibly impact vehicle safety or negatively affect the environment. MOT tests will be failed, and the item must be repaired immediately before the vehicle can be driven. • ‘Minor’ defects are determined to have no notable impact on the environment or road safety. You will pass your MOT test, but minor defects will be flagged on your certificate, and they must be repaired as soon as possible. • ‘Advisories’ are those faults which have the potential to become more serious. It will not affect your MOT test result, but you will be advised to monitor the item and repair it when possible or necessary. • Items with a ‘Pass’ category meet the minimum standards required by law. No further action is needed by the driver except to keep the standard maintained. Diesel vehicles with a diesel particulate filter (DPF) will see stricter limits imposed on their emissions. If smoke of any colour can be seen coming from the exhaust, or if there is evidence that the DPF has been tampered with, then the MOT tester is obliged to fail the vehicle with a ‘major’ defect. The design of the MOT is set to change, now listing any defects found under the new category scheme. The changes to categorisation will be reflected when checking the MOT history of a vehicle. 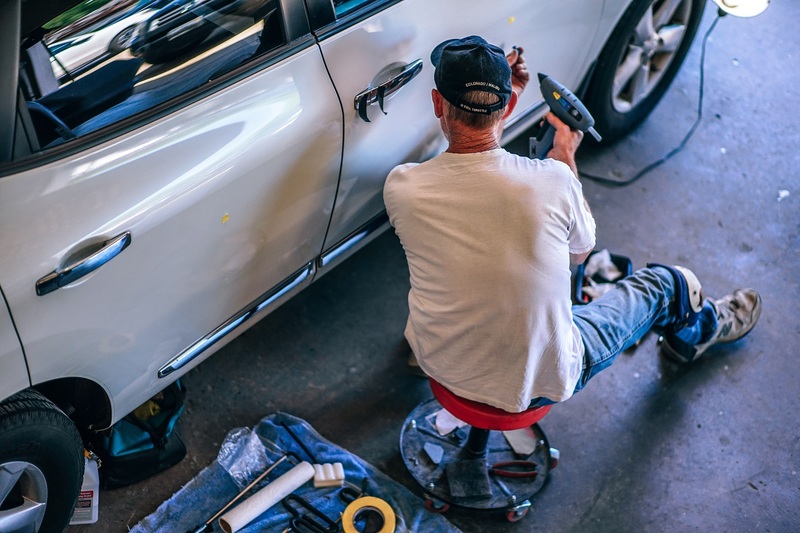 Light passenger vehicles, cars, vans and motorcycles which are over 40 years old will not require MOT tests if they have not been substantially altered. Currently, only vehicles built before 1960 are exempted.